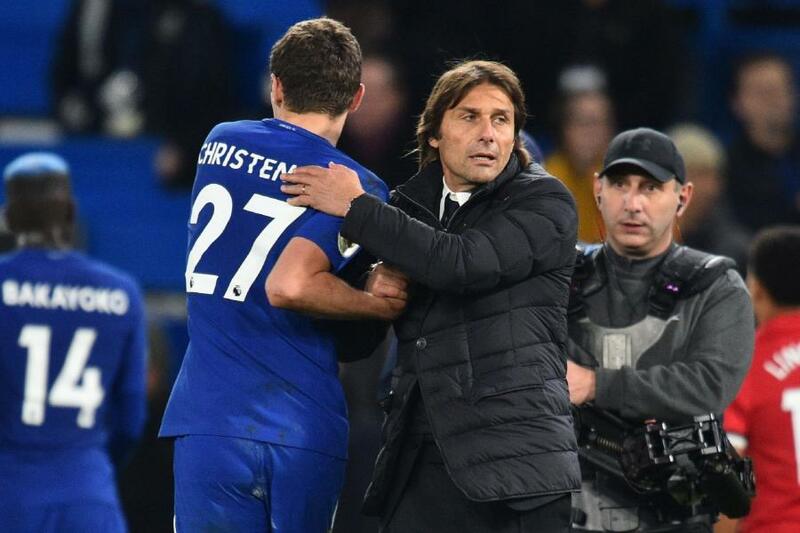 Chelsea manager Antonio Conte is worried about the state of Andreas Christensen injury pro to their match against Tottenham on Sunday. Christensen was sent back from international duty with muscle fatigue and might not be available on Sunday, the situation has left Conte with just Cesar Apilicueta and Antonio Rudiger. Cahill is also available but Antonio Conte prefers Christensen. "He's recovering from a problem in his knee and the other solution is Cahill." "He'll play in the middle but we're talking about a great player and I trust him." "We will try to recover Christensen but otherwise there is this possibility. It's not the first time Gary has played in the role. We have a solution." "For Barkley, he's started the training session, we preferred to have training sessions with the U23s and then play on Saturday before he comes back with us." "We are talking about a player who is coming off a bad injury, seven months without playing and we want to have matches with him and be sure before he comes back with the first team."